April 2012 - The Qlik Fix! The Qlik Fix! So, you’re going to Miami? Today the Qlik Fix! goes travel blogging. 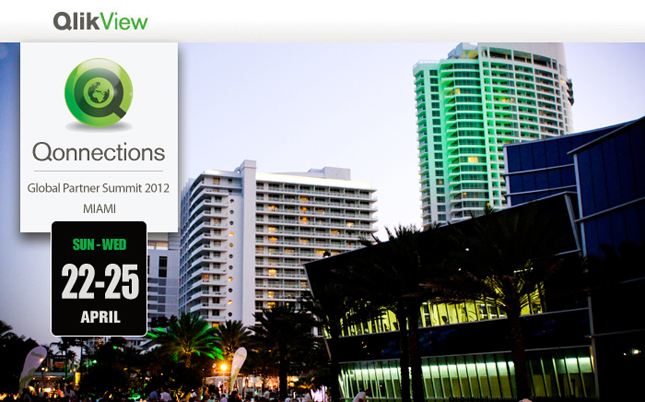 From April 22 to 25, QlikTech’s annual Global Partner Summit Qonnections will take place at the Fontainebleau in Miami Beach. Unfortunately I will not be there this year due to other plans, but I have attended the previous events and was also present last year.